Teaching children to recognise and celebrate diversity and difference is essential to healthy social and emotional development. It helps children not only to be more accepting of others but also to accept themselves and their own strengths and weaknesses. 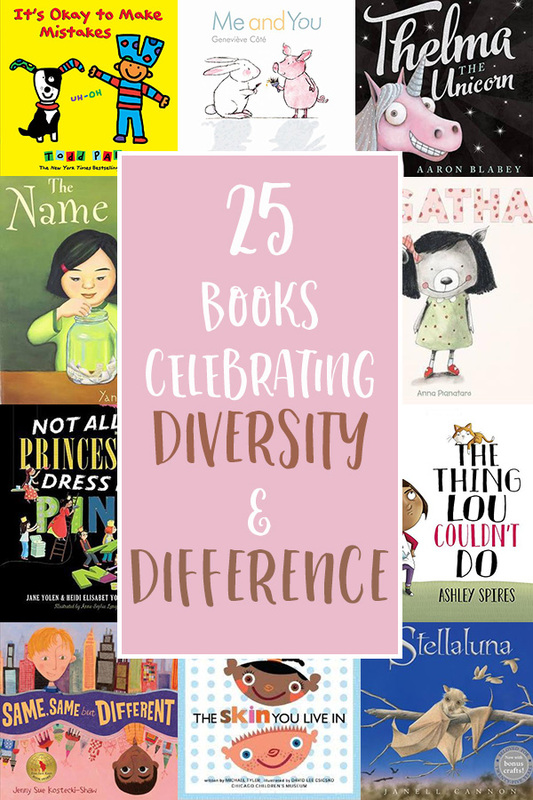 This collection of books is about recognising what makes you special, celebrating being who you are, and celebrating those around you – your friends and family, and people from different countries and cultures all over the world. I think it might just be one of my all-time favourite booklists! 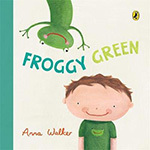 A fabulous first book for talking about differences with toddlers and preschoolers, Froggy Green was on high rotation with both of my children when they were small. 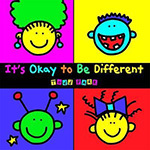 Whatever your shape, size, colour, family makeup, likes or dislikes, in classic Todd Parr style we are reminded that it’s perfectly okay to be uniquely you! Agatha never really feels like she fits in and when her teacher asks everyone to say why they are special, Agatha feels nervous and hides. When her classmates find her and share their own thoughts about what makes Agatha special, she realises being different might not be so terrible after all. What happens when pig and bunny decide to switch selves (with the help of a little paint and a few props)? 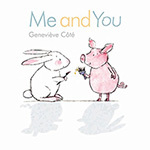 A lovely book about friendship and individuality, reassuring readers that they are special and loved most for being themselves. Being different is what makes each of us special, and the children of What I Like About Me! all celebrate their individual uniqueness, with a prompt for children to think about (and share) what makes them special too. A gorgeous story about learning to love what is uniquely yours, in this case an unusual name, even in the face of teasing by other school students. 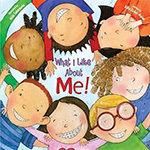 A fabulous story about differences, standing up for yourself and being proud of who you are. Camilla Cream loves lima beans, but she never eats them. Why? Because the other kids in her school don’t like them. And Camilla Cream is very, very worried about what other people think of her. In fact, she’s so worried that she’s about to break out in…a bad case of stripes! A great book about the potential effects of peer pressure. Thelma dreams of being a unicorn but when her dream unexpectedly comes true she learns a lesson in loving yourself…even without sparkles. Being the new child at school is hard enough. But what if no one could pronounce your name? Unhei is worried the American children will not like her because of her Korean name and so begins the hunt for a new name that will help her to fit in. Princesses come in all kinds and girls can jump in mud puddles and climb trees, play sports and make messes–all while wearing their tiaras… or not! Elliot lives in America, and Kailash lives in India. They are pen pals and they learn that they both love to climb trees, have pets, and go to school. Their worlds might look different, but they are actually very similar. Will these two best friends ever make up after their epic falling out..over sandwiches? Lou and her friends are brave adventurers but there is one thing Lou has never done and when her friend suggests it could be fun, Lou is not so sure she can! A celebration of the many different colours of skin. With Todd Parr’s unmistakable and colourful signature style, we learn that mistakes happen and that they’re not all bad. There are too many ruffly, sparkly princesses around these days, and Olivia has had quite enough. She needs to stand out! She has to be special! 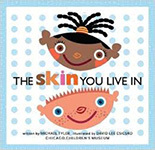 The Skin You Live In presents themes of social harmony such as acceptance, diversity and friendship in a simple manner that young children to relate to. 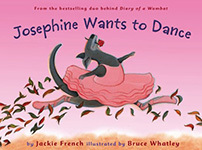 Josephine loves to dance but everyone tells her that kangaroos don’t dance, they hop! But on the day of the ballet recital Josephine may just have a chance to follow her dreams. All around the world children are laughing, playing and living,though their lives may be quite different, inside they are all alike and in this book both similarities and differences are recognised and celebrated. 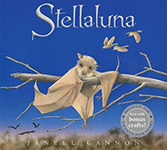 Stellaluna is a young fruit bat who is separated from her mother and adopted by a family of birds, and along the way learns that although we may be very different, we are also very much the same. Vashti thinks she can’t draw. But her teacher is sure that she can. She knows that there’s creative spirit in everyone and her encouragement helps Vashti look differently at herself and her abilities. Nerdy Birdy likes reading, video games, and reading about video games, which immediately disqualifies him for membership in the cool crowd. One thing is clear: being a nerdy birdy is a lonely lifestyle. Or is it? Gerald the tall giraffe would love to join in with the other animals at the Jungle Dance, but everyone knows that giraffes can’t dance…or can they? 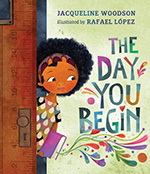 “There will be times when you walk into a room and no one there is quite like you.” This award winning, positive and affirming book about the many reasons you might feel different, and starting in a new place when you know no one, and so much more. 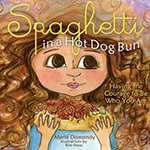 A great picture book for kids right up into middle elementary/primary grades. For even more great books for kids that explore a range of social skills – everything from making friends to bullying, check out our books about friendship collection. Great books! 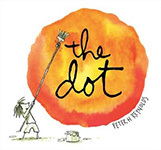 These are great picture books relating to children in a way they can understand. Thank you!